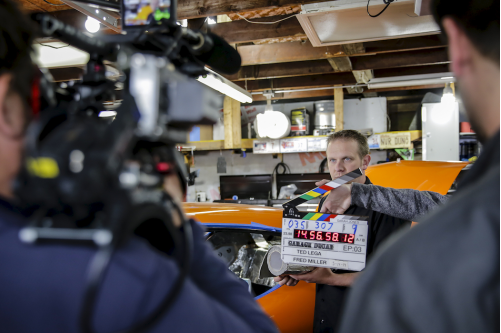 JOLIET – It took more than 10 takes for Joliet-area mechanic Joe Zolper to perfect a half-minute clip for an upcoming reality TV show on Velocity, Discovery’s auto channel. About 15 people working on the show huddled behind the camera Wednesday in the garage of a Joliet resident as Zolper gave future viewers a tip on how to save big on interior insulation for a car. Zolper, the owner of Prison City Choppers auto and bike shop in unincorporated Kendall County, is the head mechanic for the show “Garage Squad,” which is scheduled to premiere Aug. 1 on Velocity.